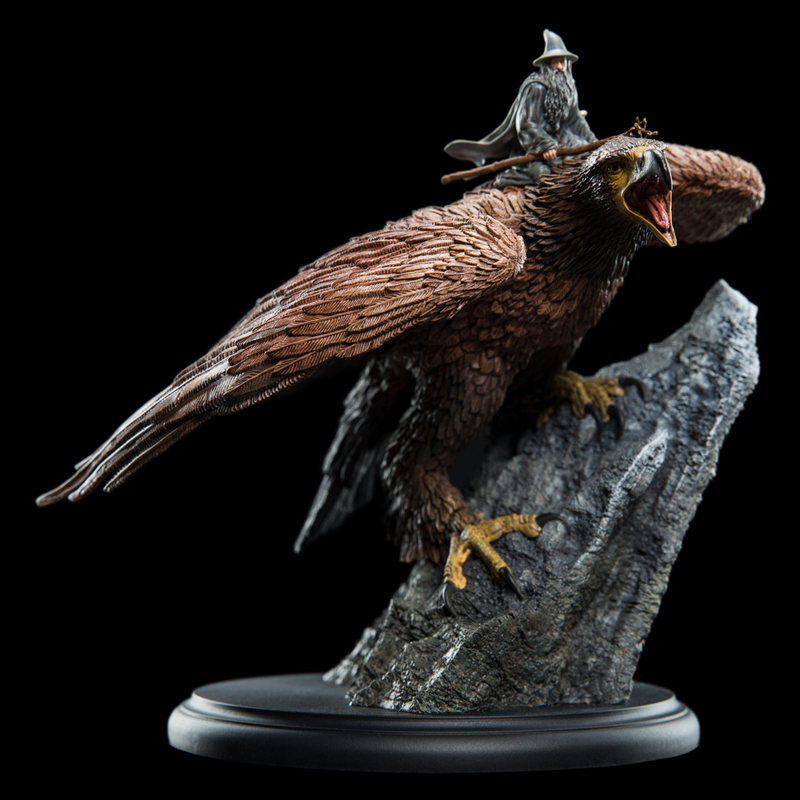 This week our friends at Weta Workshop released a fantastic looking new statue from their awesome mini-statue line. This time fans can add Gandalf the Grey on Gwaihir as he escapes being trapped by former friend Saruman the White. This beautiful statue does a very good job of capturing the tiniest of details between Gandalf and Gwaihir. Fans can add this piece right now to their collection for only $125, and with it being in-stock there will be little to no wait time.